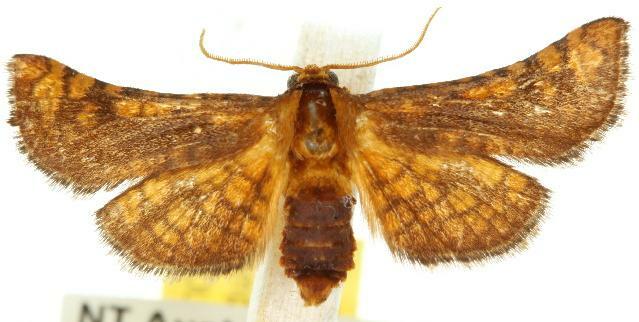 The adult moths of this species have yellow wings with variable brown markings. 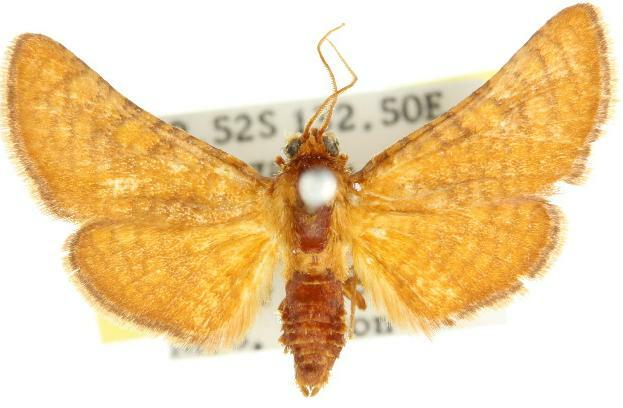 The forewings each have a concave costa. The wingspan is about 2 cms. Volume 27 (1917), p. 26, No. 43.